Women in Ophthalmology (WIO) is pleased to invite you to attend its 2019 Summer Symposium, which will take place at the Coeur D’Alene Resort in Coeur D’Alene, Idaho, August 22 – 25, 2019. The WIO Summer Symposium offers something unique that no other meeting does: A curated meeting for women offering “the best of the best” content in all subjects of importance to women ophthalmologists. Nowhere else will attendees find so many dynamic speakers and specialized educational content in a collegial atmosphere designed specifically for women. This is a must-attend event! Attendee registration includes entry to the Thursday night Welcome Reception, breakfast and lunch on Friday and Saturday, as well as breakfast on Sunday. Your registration also includes the Closing Reception and access to all Live Well sessions. Spouse/Personal Guest and Child Ticket registrations include access to the Welcome and Closing Receptions, as well as breakfast and lunch on Friday and Saturday in the Guest Hospitality Lounge, and breakfast on Sunday morning with the main meeting attendees. 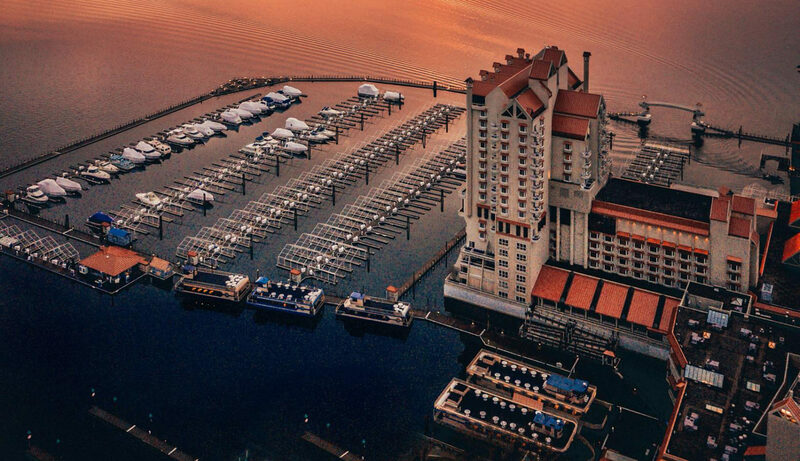 The Coeur D’Alene Resort provides the perfect environment for professional development and networking. The property is located in the town of Coeur D’Alene, a beautiful lakeside community in Northern Idaho just 35 miles from Spokane International Airport. WIO has secured a discounted rate for all Summer Symposium registrants. The group rates range from $209 per night to $249 per night for standard rooms depending on room type selected, and $289 for suites. There is no additional resort fee for WIO attendees! A reservation link to book your room at the WIO discounted rate will be available once you register. The deadline to reserve your room is July 21, 2019. Traveling by Air: The Coeur d’Alene Resort is located 40 minutes east of Spokane International Airport, offering nonstop or one-stop access from most major US and Canadian cities. Rental Car Agencies: Spokane Airport has eight rental car agencies to choose from. WIO has confirmed a self-parking rate of $18/night for WIO attendees at The Coeur D’Alene Resort. Click here for more information on available agencies. The Coeur D’Alene Resort Shuttle: Hotel shuttle service is available to WIO attendees at a rate of $69 per person for round trip transportation (driver gratuity not included). Click here to get more information and to schedule service. Regional Limo, Bus and Shuttles: Multiple options for public or private transportation to and from the airport are available. Click Here for more information. The Coeur D’Alene Taxi: The Coeur D’Alene Taxi company can be reached at this number to arrange for taxi service: 208.446.4797. A full list of taxis that service the Spokane Airport can be found here. The Coeur d’Alene Resort is easy to reach by automobile via Interstate 90 (Exit 11) or Highway 95 (Northwest Blvd). From the exit, follow the directions to downtown and watch for the Resort on your right. Click Here for the Google Map link to the Resort. Bringing your golf clubs to the meeting? Ship to the Coeur D’Alene Resort Golf Course and avoid airline fees and hassle. Click here for more information. Women in Ophthalmology offers numerous exhibiting and sponsorship opportunities for organizations to reach a targeted group of women ophthalmologists, residents and fellows. As a sponsor and/or exhibitor, your company will be recognized for your support of women in ophthalmology. View the Sponsorship Prospectus and contact the WIO Executive Office with your inquiries. We look forward to receiving your application and partnering with you this year! Present your research at the Summer Symposium!